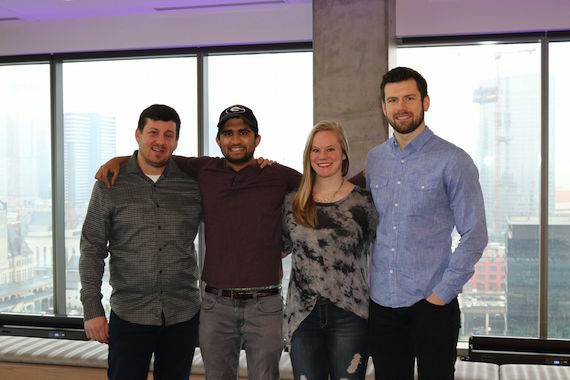 Pictured (L-R): Brian Carothers, Adi Sharma, Hayley Warner and Chris Hrovat. WME recently announced the promotion of four new agents in the Nashville office. Those who advanced to agent are Brian Carothers, Chris Hrovat, Adi Sharma and Hayley Warner. Carothers began his career with WME in 2013 and most recently assisted in booking large venues and festivals in the West territory. Carothers will join the Development team as a booking agent in the Southwest. Hrovat began his career at WME in 2013 and has assisted in booking fairs and festivals as well as venues in the South Central territory. Most recently, he has worked directly with several of the artists on WME’s roster. Hrovat will be a multi-genre development agent, working with both country and non-country artists. Sharma began his career in the agency’s Beverly Hills office in 2014 and transferred to the Nashville office in 2016. Most recently he has worked on national touring for several headlining artists on WME’s roster. Sharma will be leading a new team that specializes in large venue touring. Warner is a 2012 graduate of Purdue University. Warner most recently assisted in booking clubs in Texas and Oklahoma. She will be joining the Development team as a booking agent in the Midwest. The promotions follow a string of new artists and executives joining WME, including Scott Clayton, Buster Phillips, Brandi Brammer, Matthew Morgan, and artists Train, My Morning Jacket, Kings of Leon, and more.